STOP! Compare our Duracell & Energizer battery prices, stock up and SAVE BIG! Our batteries are much fresher & will outlast any you purchase in retail stores. You'll never go back to buying batteries retail again. We ship same day! Try us, you'll be glad you did! 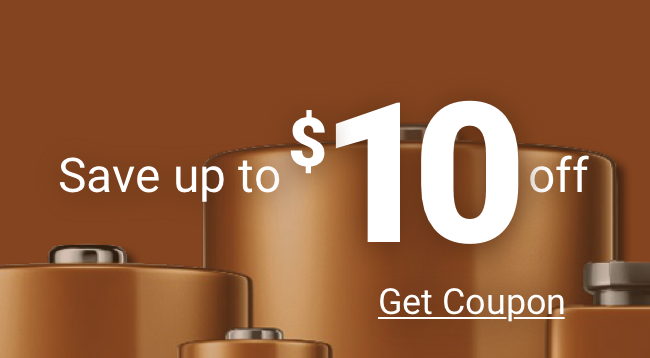 Battery coupons can be such a hassle. Maybe the store does not accept the Duracell batteries coupons you have or those Energizer coupons have expired. Sometimes you forget to grab the coupons for Duracell batteries or Energizer batteries before you leave the house. Let’s face it - you want to be able to get batteries for cheap without going through the battery coupons hassle. With Medic Batteries, you get actually that. No longer do you need to worry about Energizer coupons or Duracell batteries coupons or if the store accepts coupons for Duracell batteries. Medic sells top name batteries (Energizer, Duracell, and Ultralife) in bulk at 30-50% off retail prices. 30-50% off is more than what those Energizer battery coupons or Duracell battery coupons would let you save! So keep your battery shopping simple; forget about those Energizer coupons, Duracell battery coupons, Duracell coupons printable, basically all battery coupons in general and shop for your batteries at Medic Batteries! Medic Batteries Welcomes Consumer, Non-Profit, Government and Corporate Sales. You'll find our batteries to be fresher than a retail store, as we turn our stock much quicker - thus delivering more portable power to you in every battery! And, every battery we sell is 100% Guaranteed. Avoid the hassle of coupons for Duracell batteries and Energizer batteries by shopping with Medic Batteries. Our 9 Volt Batteries are as low as $.93 each - AAs as low as $.31 each - AAAs as low as $.39 each. Why shop for batteries anywhere else?